Many species of wildlife occur within the boundaries of the Missouri River Hills COA. Some, such as whitetail deer and the eastern turkey, are common in much of Missouri and the Midwest. Others, such as ruffed grouse, ringed salamanders, wood frogs and four-toed salamanders are not common to other parts of Missouri and are considered rare. Because this area is the largest contiguous block of forest north of the Missouri River, it is a ‘source’, or breeding area, for many songbirds. A walk through the forest in the early morning hours provides strong evidence that the area is important to songbirds. Forests are the primary habitats of the Missouri River Hills COA. There is a large mosaic of habitats across the entire COA. These habitats include forests, woodlands, savannas, prairies, glades, cliff and talus, stream edges, streams, ponds, wetlands and caves. Transitioning from many of these habitats is as simple as walking up or down a hill. The top of the hill might be a prairie or savanna. When the hill starts to pick up slope you are most likely to hit the woods. Woodlands are open wooded areas commonly found near the summits of hills, while forests are heavily wooded areas typically found at the bottom of the hill and next to the stream. Glades are dry rocky barren areas that are typically small in area and found in the middle of a woodland on the hill. Forests are typically found at the bottom of the hill and along the stream there. Distinguishing these habitats can be confusing and often times takes a little studying to figure out. Much of Missouri’s forests were actually open woodlands when the Native Americans occupied the area. Today, these open woodlands look similar to forests but there are subtle differences that still remain. You can read more about this subject in the challenges section. Cliff communities are common near major streams and rivers. A drive along highway 94 shows the abundance of cliff communities associated with the Missouri River. There are many cliff areas associated with smaller streams in the COA. Extremely old eastern redcedar trees are commonly found growing on the tops and faces of cliffs. Talus communities are the boulder areas found at the bottoms of the cliffs. Talus habitats are rare, localized and very unique. Stream edges include sandbars, gravel washes and the stream bank. These are habitats that change often due to stream flooding. They provide a great resource to animals. 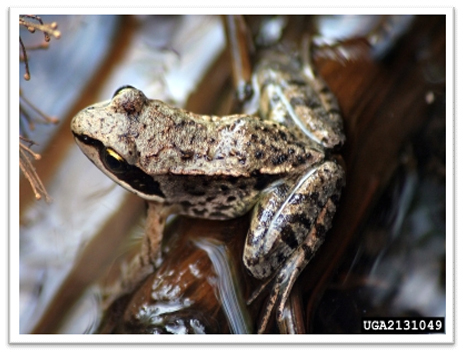 Streams, ponds and lakes are critical as we wouldn’t have any associated aquatic wildlife without them. Fish, snakes, mollusks, amphibians, reptiles and many insects depend upon them. Most wetlands have been drained for agricultural or development purposes. Some have been restored, and there are a few that were never drained. Wetlands usually have a seasonal flooding pattern that provides a great opportunity for birds to feed. There are few functioning wetlands found in the MO River Hills COA. Caves are frequent in the area. Large caves like Graham Cave at Graham Cave State Park are rare while smaller caves are common. The limestone bedrock that underlies much of the region is particularly conducive to cave formation. Missouri is known as the cave state because of its abundance of limestone geology. As a result, we have many wildlife species in the state that utilize caves. There are many small caves found within the COA. A large cave that is popular is Graham Cave at Graham Cave State Park. 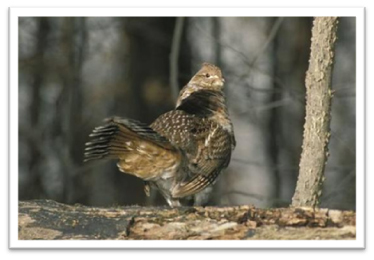 Although once fairly common, Ruffed grouse have vanished from most of Missouri. A population remains in the Missouri River Hills COA, and considerable work is being done to stabilize and increase their numbers. 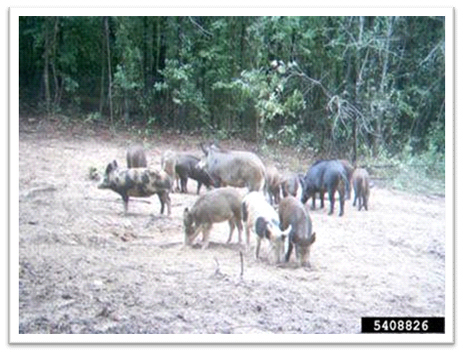 Feral hogs are a new threat to natural communities in Missouri. Many people believe that our forests are natural and that intervention by humans disrupts the natural process. However, the woods that we see today are the result of hundreds of years of human intervention.